Gov. Akinwunmi Ambode of Lagos State on Monday swore in five new Permanent Secretaries in the state civil service, charging them to make the machinery of governance roll faster in the overall interest of the people. The governor, after the oath of office was administered on the appointees at Lagos House in Alausa, Ikeja, told them to place high premium on efficient service delivery. He urged the permanent secretaries to bring their wealth of experience and knowledge to bear in their respective Ministries, Departments and Agencies (MDAs). Ambode charged them to go all out to meet the high expectations of not only government, but the teeming population of the state. “Let me remind you of the very high expectations that will be placed on you, not only from the government, but more importantly, from the over 22 million Lagosians who desire efficient service delivery. “Your ability to meet these expectations will depend on the amount of creativity and innovation you can bring to bear in the discharge of your responsibilities,” he said. 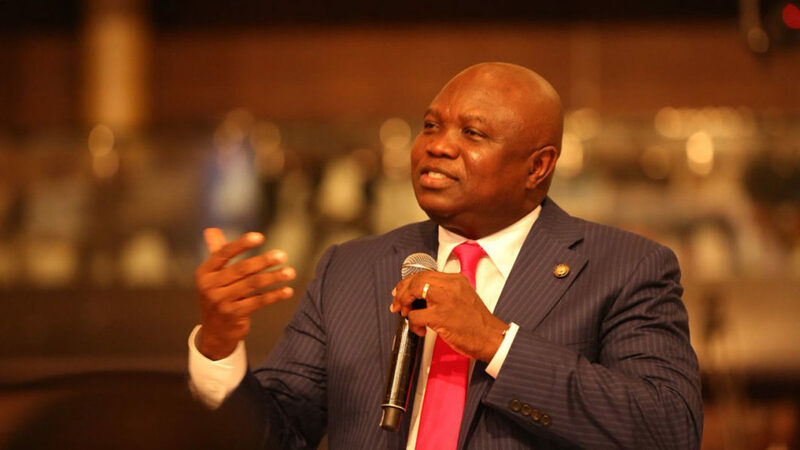 Ambode congratulated the new permanent secretaries, saying it was on record that the elevation was strictly based on merit as evidenced by their outstanding performance, commitment and dedication to duty over the years. He urged them work to justify their appointments. The News Agency of Nigeria (NAN) reports that the appointees include Dr Olabisi Taiwo, Permanent Secretary, Ministry of Health; Mr Olusegun Ajibade, Public Service Office; and Mrs Abiayo Akinsiku, Primary Healthcare Board. Others are Dr Yusuf Jimoh, Ministry of Special Duties and Intergovernmental Relations; and Mr Ganiyu Rufai, Ministry of Commerce, Industry and Cooperatives. Responding on behalf of the appointees, Taiwo expressed gratitude to God and Gov. Ambode for the opportunity to serve the state at the highest level in the civil service. She assured that they would not betray the confidence reposed in them but rather uphold the principles of public service.